Its model number and name are #016 / Batgirl. 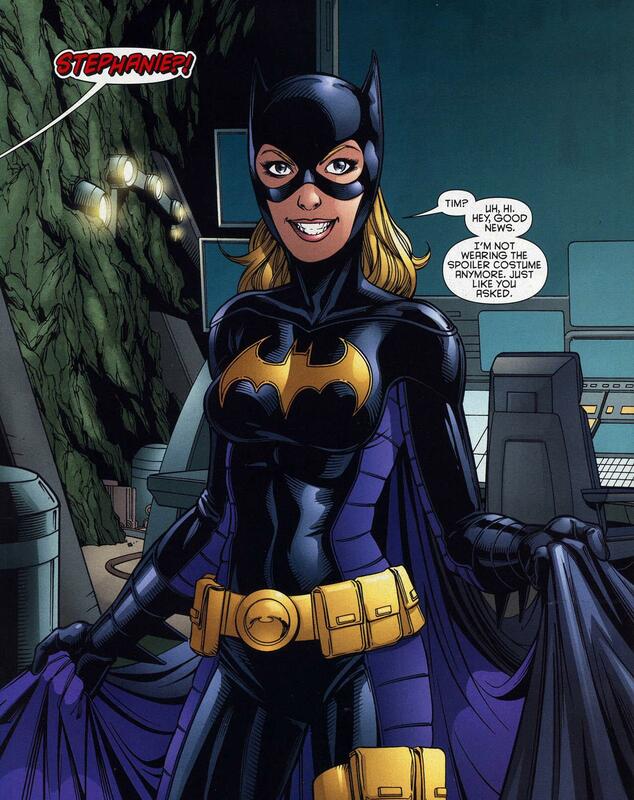 Character Bio - Though she was raised by the third-rate villain Cluemaster, Stephanie Brown did not follow in her father's footsteps and instead devoted her life to fighting crime. Originally working under the name Spoiler and later as Batman's sidekick, Robin, Stephanie returned from her apparent death and took up the mantle of Batgirl. At first, this was met with resistance from both Batman and Oracle, the former Batgirl. However, the two changed their minds when Stephanie confronted her fears and defeated the Scarecrow. Now working under the guidance of Oracle, Stephanie continued to forge her new identity as Batgirl, a valuable member of Batman's team. After moving and before attacking with a normal attack against an adjacent figure, you may subtract any number of Batgirl's attack dice from your roll, to a minimum of 1 attack die. If you do, you may attack one additional time for each die subtracted. Range 5 + Special. Attack 3. •if an opponent rolls the 20-sided die for the defending figure this turn, you may subtract 2 from the roll. The big question mark here is the SA. There was some resistance earlier to her having such a wordy SA, but I've tried to simplify it some here and I really like it as part of her character. Like Hawkeye or Green Arrow, Steph uses a variety of goofy trick Batarangs. The three I have represented here are in order: Magna-Rang, Fire-Rang and Goop-a-Rang. I have a simpler back-up option for the SA if you guys aren't on board with this version, but I think it makes her design more distinctive and represents an aspect of the character that I love. Thoughts? Last edited by TrollBrute; November 21st, 2013 at 09:37 PM. Cool design! 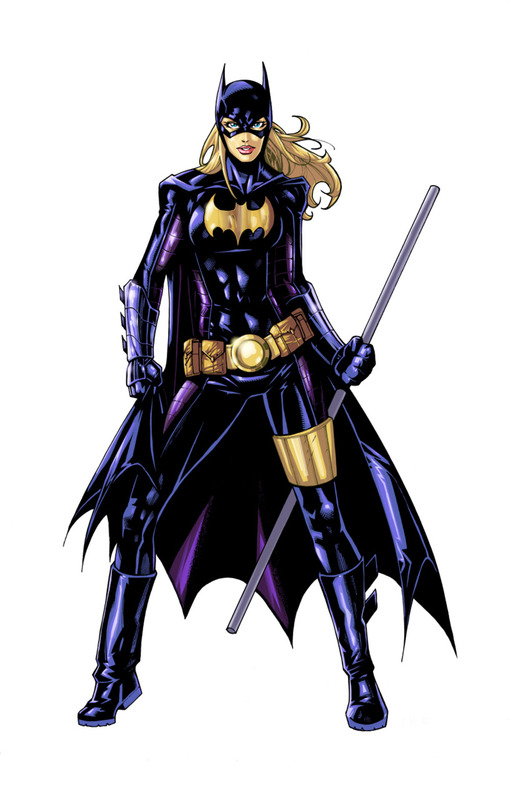 I don't know her as Batgirl at all, so the only thing I'd really be worried about is the theme of the SA and Bo Staff. But if those are good, it's cool. Only other thing is that Cassie Cain is a Sidekick, so would we want to keep all Batgirls as sidekicks, or is that not a big deal? Either way, I see Cassie as way more skilled than Steph, so keeping her under 130 would be ideal, in my opinion. Bo Staff certainly fits, it's something she uses a lot and the mini even has a staff. I could go either way on Sidekick or Vigilante. This version of the chacter stands on her own and she's not at all connected to the Titans, but she doesn't really need Vigilante synergies either. Keeping her under or at least around 130 would be nice. They have similar stats and both have Bat-Grapple, so it comes down to their two other powers. Cassie is still more "dangerous," as her defensive ability can be nasty, but Steph here seems more versatile. Once the initial test is done we can see if it needs tweaking. At the moment, it's awesome. I kind of find it funny that Barbara is going to be the last Batgirl we design. I think Vigilante makes the most sense (she even teamed up a little bit with bratty Damian Robin). She's almost always solo, though, at this point. Write up looks good. The mini has the bo staff, so I really like that power. I'd be curious to see the simplifed SA, but this one doesn't scream "overcomplex" to me. Looks good to me. I will have to check that the text fits the card as bullet points do add to amount of room the text takes up. I'd like to see the SA trimmed if nothing else. And Vigilante does feel odd to me... it's weird having her on the "same level" as Batman himself. But Sidekick isn't a perfect fit either so I dunno. Hit-Girl, Silk Spectre, Ragman, Nite-Owl ... all Vigilantes too. If he weren't a member of the Titans, Red Robin would be a Vigilante. Sidekick's a no-go, so what other good options are there? Crime Fighter? Hit-Girl is a fair point there. I'd consider giving Crime Fighter a go as she does seem to operate in a more Spider-Man sense, though... but that'd put her in a completely different category so I dunno.